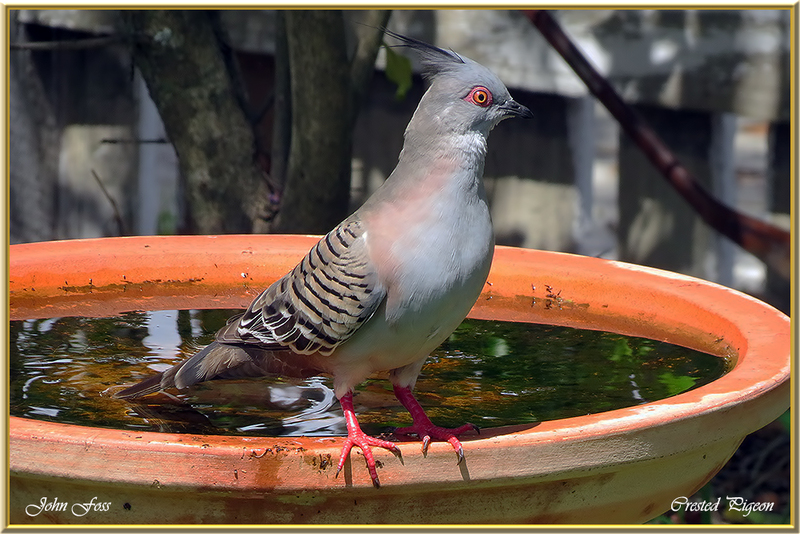 Crested Pigeon - a common pigeon in mainland Australia. Less common in the north. Diet consists mostly of native seeds, as well as those of introduced crops and weeds. Insects are also part of the diet. They take to the air with a characteristic whistling flight, and glide with down turned wings. 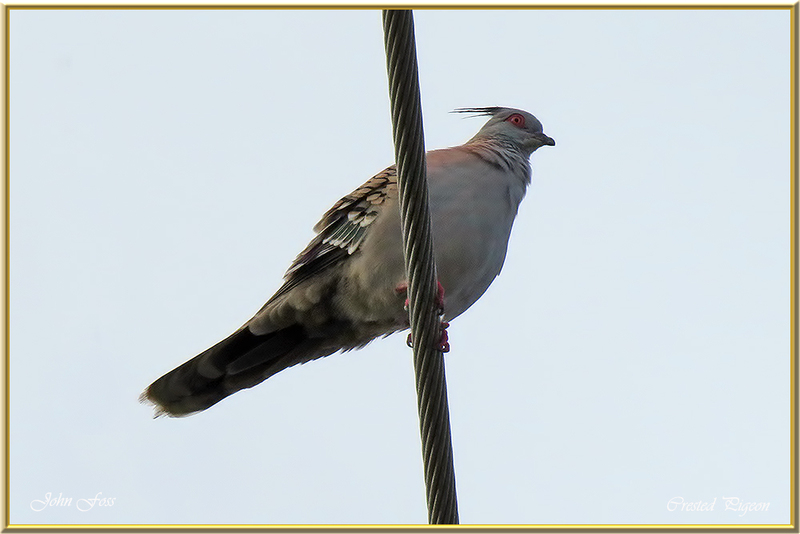 I came across several of these attractive birds in Bundaberg Queensland Australia.